Have you heard about the ketogenic diet? If it is not like that or if you have doubts about its benefits, keep reading that we will tell you here. You will discover that besides being interesting, it can be of great help to keep you healthy and at your ideal weight. The ketogenic diet seeks that the liver produces enough ketones to be used as an energy source. This is called ketosis. Usually, the human body produces insulin for energy. However, this can lead to glucose spikes when you eat too much carbohydrate or when your lifestyle is not healthy. In the ketogenic diet, fats are used as energy instead of accumulating. This means that, as the days go by, the reserves that have been created will begin to be used and you will lose weight. It is important that when you start this diet, you advise a nutritionist to explain the best types of fat you can include and the amounts. The increase in ketones lowers blood sugar, helping to improve insulin resistance and decreasing the risks of type 2 diabetes. We recommend that you try this diet if your doctor has indicated that you have prediabetes or metabolic syndrome. However, remember that it is unwise to consume supplements and medications without specialist supervision. The ketogenic diet is excellent for losing weight because it reduces appetite and anxiety to eat. In addition, by ingesting more healthy fats and proteins, the organism stops relying on glucose as an energy source and you will feel satiated with fewer calories. For these effects to really be present, it is important that the meats you choose are lean. That is, with the least amount of fat possible. Because the ketogenic diet involves a high intake of protein, your body will be satiated for more hours with less food. 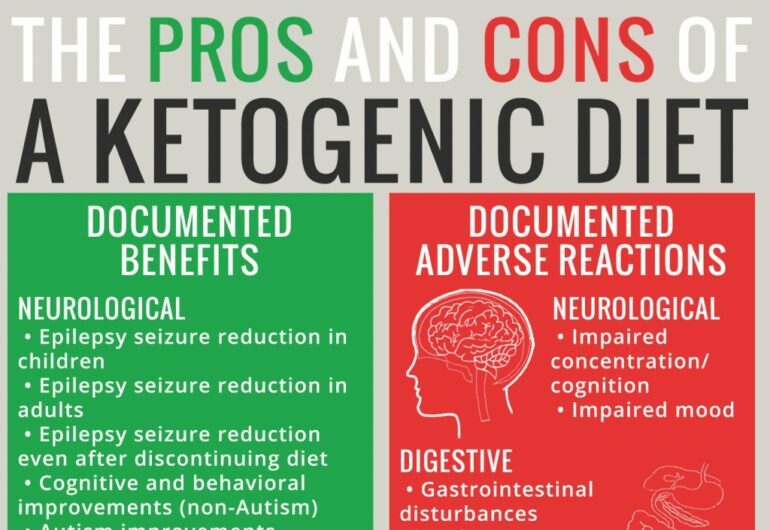 As with any other diet or regimen, the ketogenic diet can have side effects that you should consider to take care of your health. If you are diabetic, you must also maintain constant control of your glucose levels. People who start following a ketogenic diet sometimes fail to include the right amount of vegetables. If this happens, you will notice problems to evacuate correctly. With this diet, your body will receive less energy in the form of glucose. Therefore, it would not be uncommon for him to get used to burning fat. In this learning process, you may feel tired or without energy all the time.